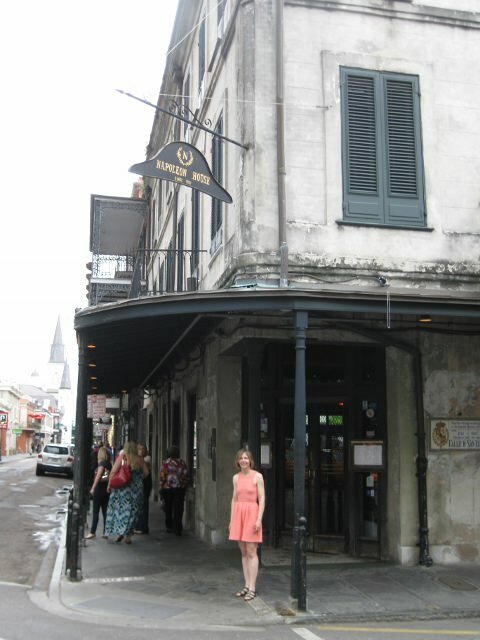 Shannon got the idea for the novel when dining at Napoleon House in 2010. As detailed in Shannon’s post about the history of Napoleon House, the building is associated with a plot involving former New Orleans mayor Nicolas Girod and pirate Jean Laffite to rescue Napoleon from St. Helena in 1821. As legend has it, shortly before the rescuers were about to sail, they learned that Napoleon had died. The highlight of the trip was meeting Sal Impastato, the owner of Napoleon House, and learning more about the building’s history. Napoleon House has been in his family for 100 years. If you enjoy Napoleonic history and you’re visiting New Orleans, Napoleon House is definitely worth the stop. Consider coming to the city for the Napoleonic Historical Society’s annual conference, November 14-16, 2014. Shannon will be speaking there. 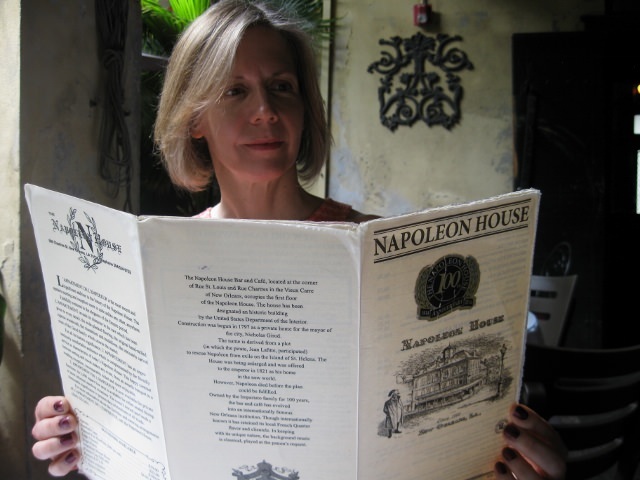 Shannon Selin reading the Napoleon House menu, which inspired her novel, Napoleon in America. 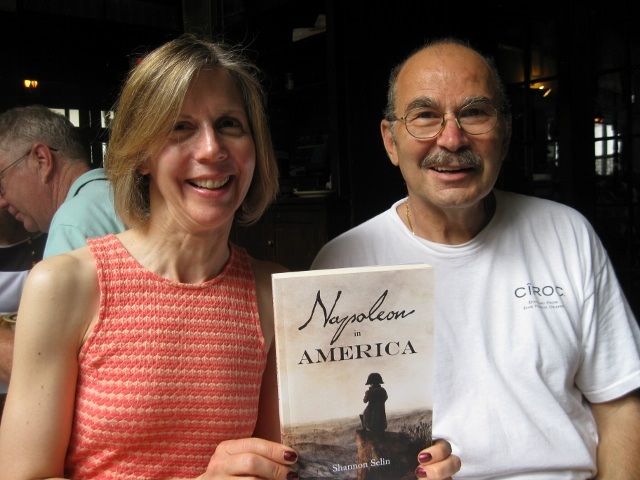 Shannon Selin with Sal Impastato, the owner of Napoleon House, and her novel, Napoleon in America, which was inspired by the legend behind the building. For more photos, visit Shannon’s Facebook page.